Your birth certificate is one of your most important identifying documents. Whether trying to get a passport or filling out paperwork for a new job, it is important that your birth certificate has the correct information. If the information, like your birth date, is incorrect, there is a simple procedure to help you correct the information. Find out where to apply for a birth certificate change. To change the birth date on your birth certificate, send a request to the courthouse or vital records office of the state you were born in. Each state may have a slightly different process for changing information on the certificate, so pay close attention to the steps provided by the government office. Fill out an application for correction. Once you have contacted your state office you will need to fill out an application for correction. Once the application has been completed, most states will require you to have the application notarized before turning it in. A notary fee may apply for this service. Some states may not have a specific application for this request and instead a notarized statement requesting the change may be used. Pay the fee. Most states will require you to pay a fee for having the birth date changed. 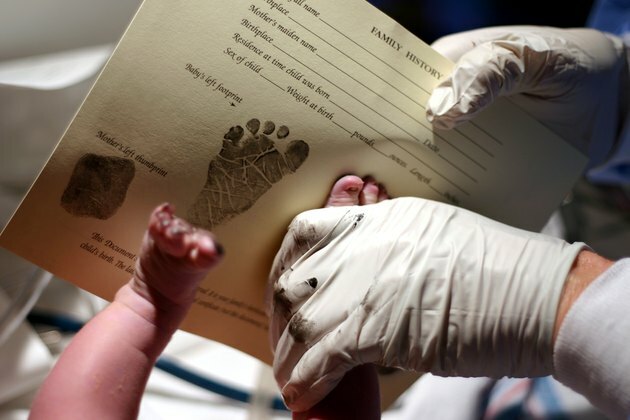 This covers both the work of locating and changing the information, as well as the first copy of the certified birth certificate. In 2009, the average fee for a birth certificate change was $15. Provide supporting documentation. Most states will require you send in proof the birth date is incorrect on the birth certificate. Most states also require at least two pieces of this documentation. Samples of supporting documentation include notarized documents such as medical records, hospital records, school records, census records, baptismal records and immunization records, as long as the birth date is clearly marked on the record. It is recommended (and in some states required) that the documents be from before 10 years of age. Wait for the correction to be completed. Once you have sent in the required application (or statement) with the notarized supporting documentation, it can take up to 30 weeks for the correction to be made. After the correction has been completed, either a new certified copy of the certificate with the correct date will be sent to you or a certified copy of the birth certificate with a line through the incorrect birth date, and the new date written nearby, depending on the states vital records procedure.